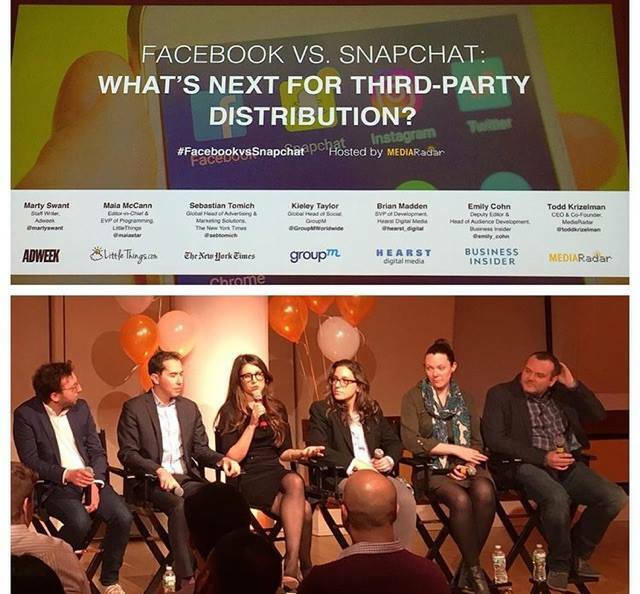 It was all hands on deck as the Crenshaw team helped as sales intelligence provider MediaRadar host a stellar panel themed “Facebook vs. Snapchat: What’s Next for Third-Party Distribution?” this past April. Adweek’s Marty Swant guided a crackling discussion with a panel of experts who included Maia McCann from Little Things, Emily Cohn from Business Insider, Kieley Taylor from GroupM, Brian Madden from Hearst, and MediaRadar’s own CEO Todd Krizelman. Panelists reflected on the recent tectonic shifts in the digital publishing mediascape and the implications for digital advertising.